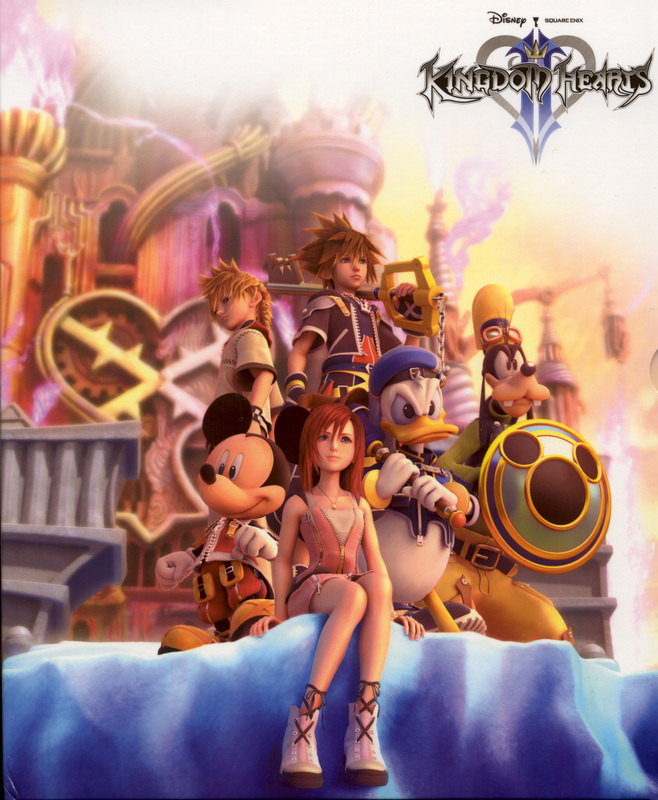 This is the cover of the Deluxe edition of the game guide. There was another image here but my copy is sharper, shows more of the picture, larger dimensions and Smaller file size. How? Descreened printed originals. Oh, this is my scan. I'm not complaining about the previous image provided by "MenchiKun". This individual was providing this image earlier (2-13-2006). So I'd like to say this image has been availible since 2-13-2006. Thanks for providing the image ealier. Quote by MissIndepdntYay! A pic of the inside cover! Elle thanks for the sharper quality of the image! i hold no hard feelings to u =p i supplied what was avaliable at that time seeing as their was no strategy guide for it yet =p The image as diffrent in the sense that mine was a render not printed for the stragey guide! Yay! A pic of the inside cover! I love KH2! Its one of my fav. games! I cant wait to play it again! imsge gorgeous. Love you we do. what i meant is... beeeeeuatiful scan! I needed this! I love the quality and size! thx for sharing the scan! and i agree! the game is really awesome! Awesome quality scan you have here, thanking you so much for sharing.